Compare the pros and cons of two key fixtures to help you make the right decision for your bathroom makeover. • Both are sold in a variety of styles. Tubs are available in standard, claw-foot, freestanding (disconnected from the wall), soaking (deeper and wider than standard), whirlpool (with built-in water jets), and walk-in varieties. Showers come as stalls enclosed with doors or curtains and walk-in showers without doors or curtains. • Both come in multiple materials. Tubs may be made in a range of materials, from affordable acrylic to high-end enamel-coated cast iron. Showers are available in anything material from fiberglass to pricey natural stone. • Both offer therapeutic water flow options. Whirlpool tubs feature built-in jets that release massaging blasts of water into the tub, while showers can be equipped with rainfall or waterfall shower heads that release water soothingly. Similarities aside, there far more differences between tubs and showers—understanding them fully will assure that you won’t pour money down the drain on something that doesn’t suit your needs. Ahead, we examine the benefits and drawbacks of these bathroom staples. Tubs are often cheaper to install. A tub will cost anywhere from $400 to $8,000, installed, whereas a shower ranges from $450 to $10,000. Standard bathtubs and shower stalls are at the low end, while whirlpool tubs and walk-in showers are pricier. You can have a whirlpool tub installed for an average of $4,500, less than three-fourths of what you’d pay for a walk-in shower, priced at $6,000 on average. Showers take up less space. A standard shower stall or walk-in shower displaces only nine square feet on average, whereas a standard-sized tub occupies roughly 13 square feet. If you have a smaller-than-average full bathroom—say, 32 square feet—a shower is the clear winner. If you have an average-sized full bathroom measuring 40 square feet, a shower would take up less than a quarter of floor space while a tub would use up a third of the bathroom. By replacing a tub with a shower, the space you save with shower could be used towards a larger, more luxurious version (e.g., a walk-in steam shower) or bathroom storage features (e.g., a double vanity). Family members who are elderly, wheelchair-bound, or have other mobility impairments may find it challenging to climb in and out of a traditional tub. To enter and exit a shower they need only open the door or curtain or, in the case of curbless walk-in showers, simply step or glide in. Features and furnishings such as grab bars on the walls and benches also make showers more user-friendly. There are, however, easy access walk-in tubs with a built-in door and a bench, but they’re pricey, averaging $5,500, installed. Tubs are still considered essential to resale value. According to a National Association of Home Builders survey, 51 percent of home buyers are opposed to a master bathroom with only a shower stall. A “full bathroom” means one with a tub, and that’s what continues to attract the majority of both single and married home buyers, as well as parents who have or are expecting children, who are easier to bathe in tubs than showers. That said, there’s no definitive proof that a tub yields a significantly higher return on investment (ROI) than a shower at the time of home resale, or vice versa. Remodeling Magazine estimated that a bathroom remodel that included a porcelain tub yielded an ROI of 70.1 percent, whereas a remodel that featured a curbless walk-in shower produced a 70.6 percent ROI. Showers use less water if you keep them short. 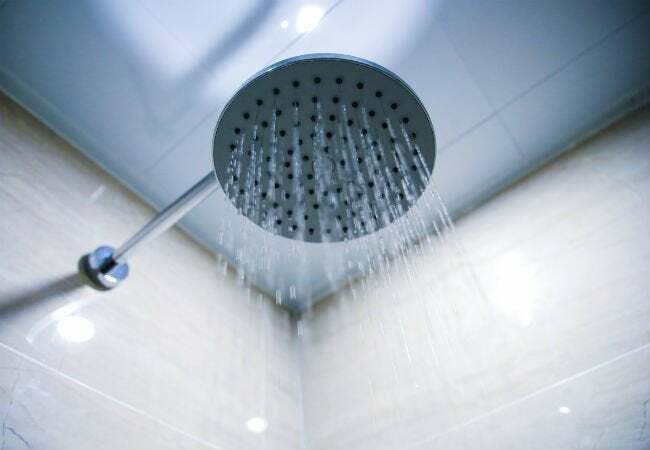 You use 2.1 gallons of water per minute in a shower with a low-flow showerhead on average, which amounts to about 17 gallons for an average eight-minute shower, according to the Home Water Works project. This means that if you can keep your showers under 12 minutes, your water consumption—and your overall water bill—will generally be lower with a shower than a bath, which will consume a fixed amount of anywhere from 25 to 40 gallons of water in a standard tub or 80 to 100 gallons in a whirlpool tub. Showers are available in DIY-friendly options. Installing a tub or a custom shower is better left to the pros. 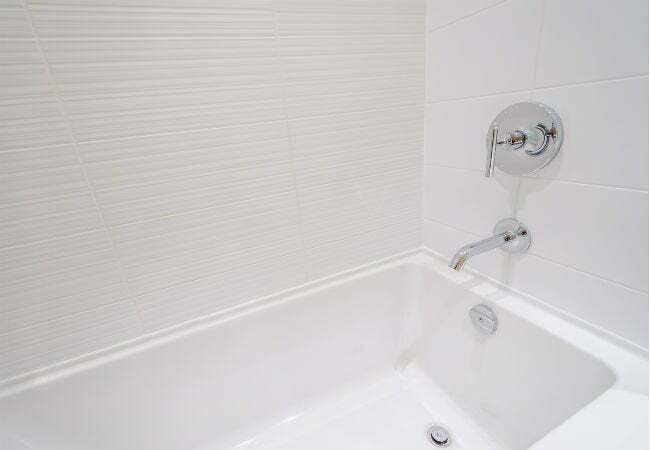 Tubs can easily fracture or ding floors if dropped or mishandled, and custom showers must be built on-site, which may require waterproofing the base and/or installing concrete backerboard into the walls to support the weight of materials like tile or glass. However, prefabricated shower stalls and walk-in showers are available at home centers as kits (from brands like Durastall, which can be found at Home Depot). These kits come with lighter weight, individual shower components, including a base, walls, drain, and shower head that DIYers with some plumbing and carpentry skill can install, usually in less than a day.